Northern Indiana Public Service Co. last week asked federal regulators to dismiss a complaint by two wind farm operators alleging they were overcharged by the utility for transmission upgrades to reduce congestion-related curtailments. 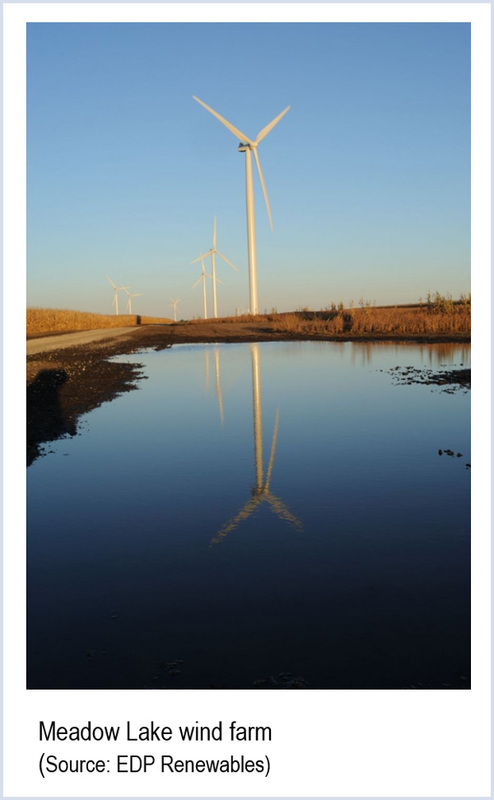 NIPSCO’s request, filed Jan. 12 with the Federal Energy Regulatory Commission (EL15-34), says the Fowler Ridge and Meadow Lake wind farms are improperly trying to piggyback on a complaint filed last June by E.ON Climate and Renewables North America. The Indiana utility charged Fowler Ridge, Meadow Lake and seven other wind farms $50.4 million to build transmission upgrades, plus another $35.8 million to operate them over 35 years. E.ON alleged that a 1.71 multiplier NIPSCO used to calculate operating costs of E.ON’s Pioneer Trail and Settlers Trail wind farms is too high (EL14-66). In its request for dismissal of the Fowler Ridge and Meadow Lake complaint, NIPSCO said the farm operators took no position in the transmission complaint filed by E.ON and now, six months later, seek a refund. “The complainants’ participation in the E.ON complaint proceeding to date has been that of a bystander, at best,” NIPSCO said. NIPSCO also said there are differences between the transmission upgrade agreements (TUAs) it struck with the two farms and the one it reached with E.ON. Conversely, E.ON agreed to make installment payments for the initial upgrade cost amounts, NIPSCO said. “The commission is barred, via the filed rate doctrine, from retroactively refunding [Fowler Ridge and Meadow Lake] for the rates they already paid in full under the TUA,” the utility argues. NISPCO also argues that while the two wind farm operators in Indiana have claimed the multiplier results in excessive charges of more than $1 million, they offer no support or justification for how they determined the alleged excess charges. In its complaint, E.ON said its Illinois-based Pioneer Trail and Settlers Trail wind farms, with a combined capacity of 300 MW, lost between $9.8 million and $11.7 million in 2013 when grid operators forced them to curtail output due to congestion. The 600-MW Fowler Ridge is jointly owned by BP Wind Energy North America and Dominion Resources. The 526-MW Meadow Lake is owned by EDP Renewables North America. The farms make up 73% of Indiana’s total wind capacity, according to the U.S. Department of Energy. FERC approved an uncontested partial settlement between NIPSCO and the owners of seven Indiana wind farms. The Long Island Power Authority approved a contract for a 90-MW offshore wind farm to be developed by Deepwater Wind.